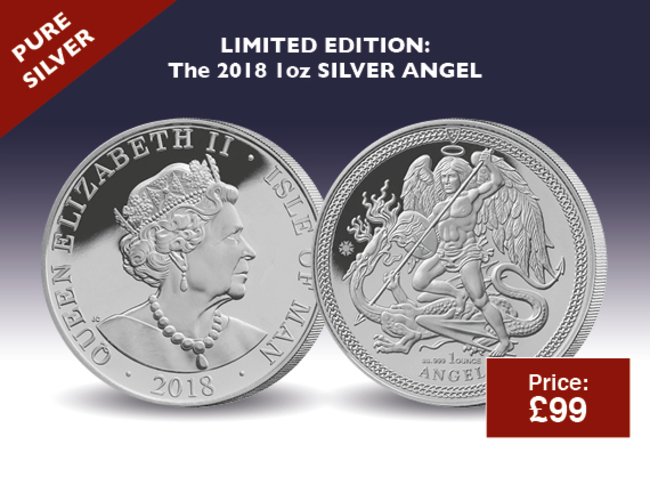 Rest assured that you have no further commitments and your purchase is protected by The London Mint Office 14 day “no quibble” return guarantee. You have no further obligation. I agree to all marketing consents listed below. Whilst we update this document, please see our new privacy notice. 1. The Company reserves the right to refuse to supply any customer. 2. All goods shown are subject to availability and may be withdrawn at any time. 3. All prices shown are in British Pound sterling and include VAT where applicable at the current rate. cancel, a full refund for any prepaid goods will be provided. 5. The Company is responsible for supplying you with the goods that meet your consumer rights. If you have any concerns that we have not met our legal obligations, please contact us on 0330 024 1001. 5.1 Under the Consumer Contracts (Information, Cancellation and Additional Charges) Regulations 2013, you have the right to cancel your order within 14 days, starting with the day after you receive the goods. You may do this by calling customer care on 0330 024 1002 or through our website or in writing. A full refund will be issued within 14 days of receipt of the returned goods. For information on returning products, please refer to our” Returns Policy” section below. 6. Customers should take all reasonable care with goods while they are in their possession. 7. Under your statutory rights The Company provides a “No Quibble” returns policy which allows you to return any goods (except personalized goods), providing that they are returned within 14 days of receipt, complete and in a condition as good as when they were delivered. Receipt of goods takes place on the date of delivery or alternatively 5 working days from invoice date. 7.1 Should you wish to return any goods, please call customer care on 0330 024 1002 and you will be provided a pre-paid postage label. You must retain proof of posting for all returned goods. Alternatively, should you choose to return the goods at your own initial expense, delivery must be made to LMO Processing Centre, PO BOX 89, PORTH, CF40 9BJ with the correct level of postal insurance to cover the sales cost. 7.2 The cost of returning the goods to the Company under this clause will be met by the Company providing that you retain proof of postage and use the service which covers the value of the goods in case of loss. 8.1 Payments made by card, where supported by your card type (e.g. Visa MasterCard, Visa Debit, etc. ), by making a purchase under these terms and conditions you are granting continuous payment authority on your card. This will be used for your subscription payments. In the event that you are not willing to grant continuous payment authority, you should contact us to make an alternative arrangement to pay for your order. 8.1a Charge a late payment fee for overdue invoices plus an additional fee to cover expenses incurred in providing the buyer with written or verbal reminders, or for passing the overdue debt to a solicitor or authorised third party for legal proceedings or for tracing and collection. 8.1b Charge a fee to cover the costs and administration incurred by the seller for processing unpaid cheques, direct debits, declined, refused, rejected or disputed card payments and for processing rejected or refused payments for other payment types not mentioned. 8.1c Charge a fee for providing the buyer or an authorised third party for the retrieval, copying and dispatch of copy invoices or statements. 8.1d Suspend or cancel an application, order or account without notice. 9. The Company offers a voucher policy for repurchased goods at its discretion. The vouchers will be a percentage of the noted value of the repurchase which must be redeemed within 12 months of the issue date unless an alternative agreement has been made. These vouchers will be limited to the purchase of comparable products as defined by the Company. 10. A credit limit will be applied to your account at the Company’s discretion and subject to account approval in accordance with our internal credit policy which may include conducting a credit search using a licensed credit reference agency. 11. The Company is committed to providing customers with high-quality products and service. If you have a question concerning any aspect of our service, please visit our website at www.londonmintoffice.org or contact us via our webform at www.londonmintoffice.org/contact-us. 12. The Company complies with the conditions of the Date Protection Act and will only supply your details to contracted third party partners for processing purposes. The Company follows the Code of Practice of the Direct Marketing Association. These terms and conditions do not affect your statutory rights. Like all other websites with online shopping facilities at www.londonmintoffice.org we collect personal information when you shop with us. This information is necessary to make your shopping experience easy and convenient for you. It is also needed to process your order, inform you of any delays or problems and show you special offers and promotions that might be interesting for you. Information that you provide by filling in forms on our site www.londonmintoffice.org. This includes information provided at the time of registering to use our site, subscribing to our newsletter, posting material or purchasing products. We may also ask you for information when you enter a competition or promotion sponsored by The London Mint Office, and when you report a problem with our site. Details of your visits to our site [including, but not limited to, traffic data, location data, weblogs and other communication data, whether this is required for our own billing purposes or otherwise] and the resources that you access. With agents (including credit reference agencies, credit card clearing agencies, fraud prevention and detection agencies) that we use to process the orders you place on our website or to provide the service offered on our website. Agents will only receive the information they need to perform their function and are functioning like an outsourced part of our company. In the unlikely event that our business assets are ever sold to or purchased by another company, who would then continue to offer the service to you. To an outside research company whom we might ask from time to time to contact you directly for your opinions on our products and services in order to constantly improve our service quality. We use the latest secure server technology to ensure this information is protected to the highest standards and we are not sharing this information with any partners, unless specifically authorised by you. We use encryption to safeguard your credit card information and only accept orders from web browsers that permit communication through Secure Socket Layer (SSL) technology - this means you cannot inadvertently place an order through an unsecured connection. Most web browsers above version three support this security. The encryption used makes it virtually impossible for unauthorised parties to read any information that you send us. You have the right to ask us not to process your personal data for marketing purposes. We will usually inform you (before collecting your data) if we intend to use your data for such purposes or if we intend to disclose your information to any third party for such purposes. You can exercise your right to prevent such processing by checking certain boxes on the forms we use to collect your data. You can also exercise the right at any time by contacting us at customercare@londonmintoffice.org. To see all the information we have about you, and to correct any inaccuracies, please write to: The London Mint Office, Data Protection Officer, 26 - 28 Hammersmith Grove, Hammersmith, London W6 7BA. Cookies are not computer programs, and can't read other information saved on your hard drive. They cannot be used to disseminate viruses, or get a user's email address etc. They only contain and transfer to the website as much information as the users themselves have disclosed to that website. It is possible to opt out of cookies via your browser’s cookie settings, but if you do this you will not be able to shop from most websites as many functions depend on cookies. Cookies are computer specific, so if you log on to any site from a different computer, the cookie settings on that computer will apply and your shopping experience might be less convenient as a consequence. - Google Analytics (__utma, __utmb, __utmc, __utmz): these cookies are used to collect information about how visitors use our site. The information includes the time of the current visit, whether you have been to the site before and what site referred you here. We use this information to estimate our audience size and usage pattern, so that we can improve our site by understanding how people use it. Click here for further information from Google on Google Analytics and your privacy. - [v1v4, v2v4 and v3v4]: this cookie is used to identify you when you are using our site, so that we can provide you with details of offers and services that may be of particular interest to you, either by means of information displayed on our site while you are using it, or by contacting you in accordance with your stated contact preferences. For further information about managing and disabling cookies on your computer see www.allaboutcookies.org/manage-cookies. We use a third-party service provider to advertise on our behalf across the Internet. When you visit our website because you have seen one of these ads, they may collect anonymous information about your visits to our Website, and your interaction with our products and services. They may also use information about your visits to this and other Web sites to target advertisements for goods and services. This anonymous information is collected through the use of a pixel tag, which is industry standard technology used by most major websites. No personally identifiable information is collected or used in this process. They do not know the name, phone number, address, email address, or any personally identifying information about the user. If you would like more information about this practice and to know your choices about not having this anonymous information used by our third-party service provider, please visit our third party service provider’s website. Transmission of information via the internet is not always completely secure. Although we will do our best to protect your personal data, we cannot guarantee the security of your data whilst transmitted from your computer to our site; any transmission is at your own risk and we recommend using the security setting recommended by your service provider. Once we have received your information, we will use strict procedures and security features to prevent unauthorised access. An email is on its way! It has a magic link that will log you in automatically.